Diving is one of the best choices for those who want to relieve the mind from business of life. Indonesia has many spot for you who want to dive and vacation in the same time, Indonesia is one of the country that has many diving and vacation spot, diving in Indonesia is like a paradise besides the diving sites Indonesia also inherit unparalleled the natural beauty. The east of Indonesia there is Nusa Tenggara, it´s popular because of the Komodo Dragon, it was declared a World Heritage Site by UNESCO and conservation efforts have been extended to cover all aspects of marine and terrestrial life. Flores is located east of Sumbawa and Komodo and west of Lembata and the Alor archipelago. Both islands, offers an exhilarating experience of diving from start to finish. Both places have spot that can be enjoyed while on vacation and enjoy the underwater beauty of Indonesia. This dive site is recommended for experienced divers because the up and down currents are very strong. Stay close to corals filled with scorpionfish, nudibranchs and sheltered lionfish. Within a range of fifteen meters and above, parrotfish, moorish idols, large sweetlips dart around the reef. Current visible from the surface that hit the rocks marking the site, this iconic Komodo site offers the opportunity to see fish hoarding, amazing colors, bright colors, big schools of big and pelagic fish. This sites dived according to the direction of the current. If you here to see pelagics, your chances increase along with the current white tip, black tip, and grey shark patrol the deeper sections. Giant trevally, tunas, napoleons are also occupants of this place. The coral mixed with other types such as, short cropped branching corals, stubby fire corals, and plate corals. The opportunity to look up to enjoy the gathering of many fish by forgetting for a moment about diving and enjoying their surroundings. Located in the north of Flores Island is very suitable for beginners and for those who do not like strong currents. Coral species include gorgonian corals, black corals, barrel sponges, and soft cauliflower corals. Fish life here such as barracudas, surgeonfish and batfish, in the shallow aggregation of damselfish crowds close to corals and lower populations, including scorpionfish, crocodiles, and nudibranchs, sits in rubble. This dive site is an easy sloping coral site with macro life and good creatures, giant clams, and turtles in shallow waters, and is suitable and fun for all levels. Fish life is not abundant but varied and as an anemone’s house uses debris patches for their safety. Anemones are shrimp, moray eels, crabs, and lionfish, and when you grow up a shallow water turtle is seen on the reef. Excellent Liveaboards budget for those with limited schedules, traditional wooden phinisi boats modified for 8 recreational divers, Ikan Biru is very comfortable, for sleeping arrangements are on the upper deck enough room for everyone. Fourty five meter Indonesia sailing schooner, spacious and very comfortable and operated by diving experts with many experiences. Traditionally built sailing schooner offering luxurious 12 night trips with nitrox available in here. Arenui offers a taste of local culture, 43 meters of luxury liveaboard and 8 well-decorated cabins representing rich Indonesian culture, and serving 16 guests. Trained local crews provide truly personal services for the 16 guests. Nusa Tenggara offers two tourist areas for tourists who want to dive and vacation at the same time. Komodo Island and Flores Island have challenging topography with very interesting and some extreme currents for experienced divers. There are various quieter sites that are ideal for beginners and those who don’t like diving in the current. Most operators, including liveaboards, are based in the port city of Labuan Bajo on Flores. Flores offers more beautiful and easily accessible landscape, suitable for all levels, with creature wealth. 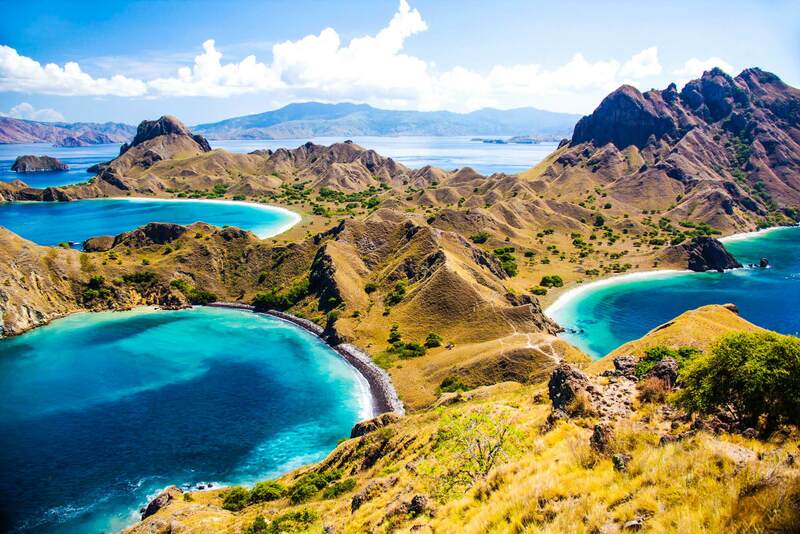 Komodo Island and Flores Island are exciting experiences from beginning to end.